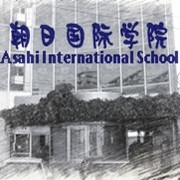 Asahi International School comprises a variety of Japanese language study and strives to make full use of its intellectual environment to foster Japanese capacity and train human resources who aim to the further studyin universities and colleges in Japan. Based on the philosophy “Introduce the Charming Japanese Languageand Culture”, the school seeks to admit individuals with a strong curiosity about and interest in studying Japanese language at Asahi International School. Prospective students should acquire adequate qualities which enable them to make the most of their knowledge and skills once they have enrolled at Asahi International School. Individuals with a strong curiosity about and interest in studying Japanese language are all welcomed at Asahi International School.